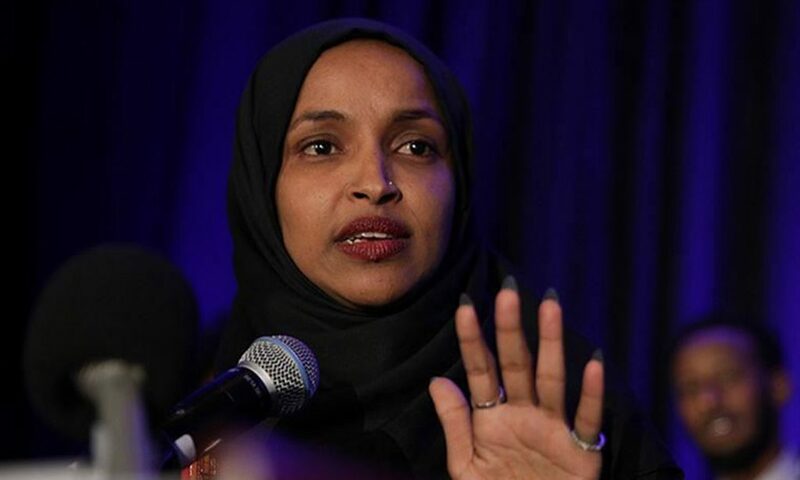 WASHINGTON, April 14 (NNN-ANADOLU) – Democratic Congresswoman Ilhan Omar on Saturday issued a series of tweets to address a row after U.S. President Donald Trump posted an edited video on Sept. 11, 2001 terror attacks, aimed at her. Omar said she did not run for Congress to be silent. “I ran because I believed it was time to restore moral clarity and courage to Congress. To fight and to defend our democracy,” she stressed. Bernie Sanders and Elizabeth Warren, two Democrat presidential runners, threw their support behind the Minnesota representative. Warren accused Trump of inciting violence against a sitting Congresswoman. “It’s disgusting. It’s shameful. And any elected leader who refuses to condemn it shares responsibility for it,” she said. In a statement, CAIR National Executive Director Nihad Awad criticized Trump and said the U.S. president was “endangering Rep. Omar’s life by taking her words out of context and evoking painful imagery to exploit a national tragedy”. Also, the hashtag #IstandwithIlhan, on its second day, was on the list of top trending topics on Twitter in the U.S. The Muslim lawmaker thanked her supporters. “Thank you for standing with me – against an administration that ran on banning Muslims from this country – to fight for the America we all deserve,” she wrote.